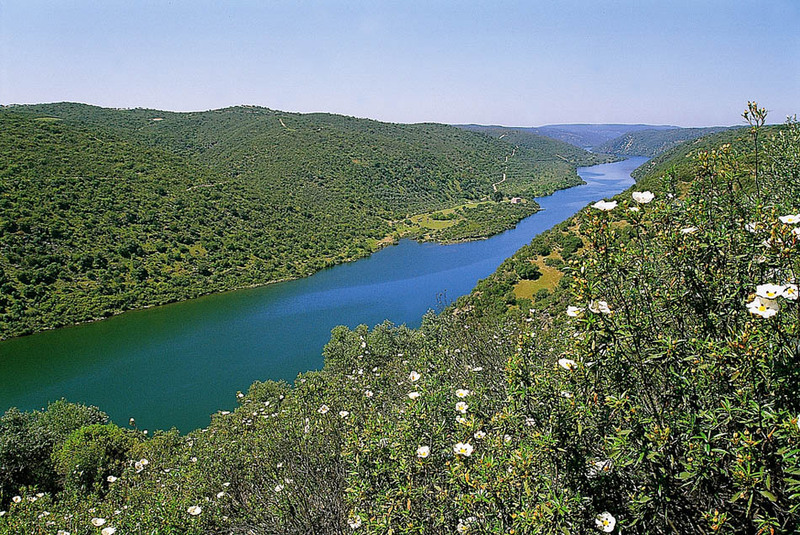 Tejo Internacional Natural Park extends for 230 square kilometres and remains as one of the most rural areas of Portugal. 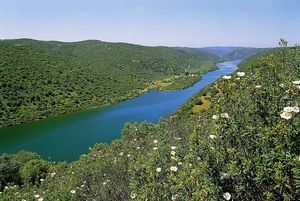 The park follows the Tajo river and the valleys of its three tributaries: Erges, Ribeira do Aravil, and Ponsul. This park is very interesting despite not being the most beautiful one, since it does house some of the most exotic bird species in Portugal, such as black cranes, Bonelli’s eagles, Egyptian, royal, and griffon vultures. This park was established in 2000 following the lead of the private environmental organization Quercus. The interior of the park features a route entitled “Ruta dos Buitres” (Vultures Trail), composed of a well signalled hiking trail that descends from Salvaterra do Extremo (around 60 kilometres to the east of Castelo Branco) to Erges river canyon. In Castelo Branco, you will find the headquarters offering information on the park. Quercus organizes bird-watching trips and hiking excursions, among many other activities.